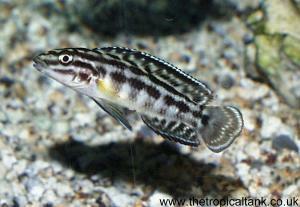 "Dwarf cichlids" usually refers to any small cichlid species that remains below about 10cm (4") at adult size. 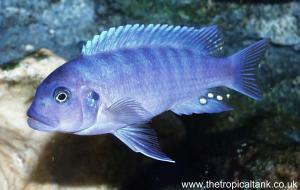 The most commonly encountered dwarf cichlids are those from South America (particularly Apistogramma species and "Rams"), and those from West Africa such as Pelvicachromis - which includes the well-known "Krib" or Purple Cichlid. 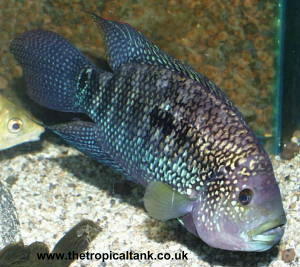 Smaller species from Lake Malawi and Lake Tanganyika are also often included under the banner of dwarf cichlids. 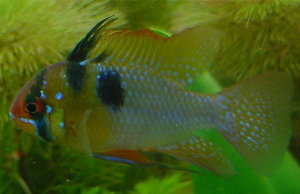 Dwarf Cichlids are popular because they display interesting behaviours and personalities just like larger cichlids, but they can be kept in smaller tanks and are generally less aggressive. Many are suitable for community tanks.